Hi guys! I've been nursing a mild illness, so please bear with me. 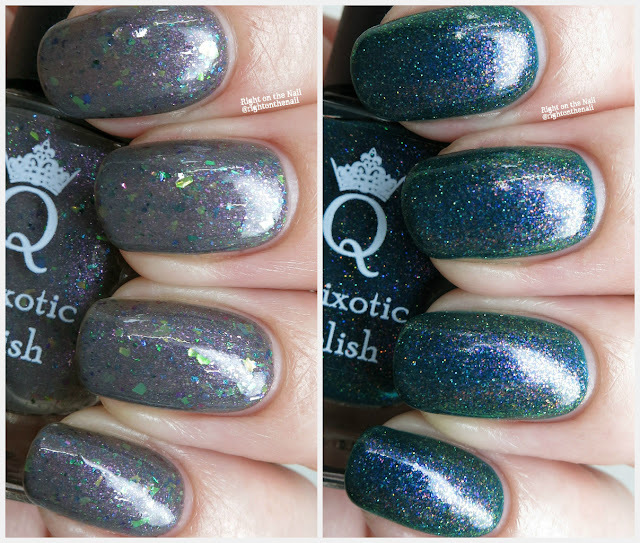 Tonight is the last night to get one of the polishes, so I wanted to make sure to get this post up ASAP. You guys know how much of a fan I've been of Mary and what she's done with Quixotic Polish this past year. She was recently asked to make some customs for the Grey Nail Polish Fanatics Facebook Group, and boy did she come out with some beauties! The other polish appears to be a core color now, so you'll at least have some time to get Shiny New Seahorse, because you're going to want that one. Hi guys! I know it's been a hot minute since I've posted, but I was super busy in LA last week. The weather was beautiful out there, but I didn't get to enjoy it since I was working the whole time. 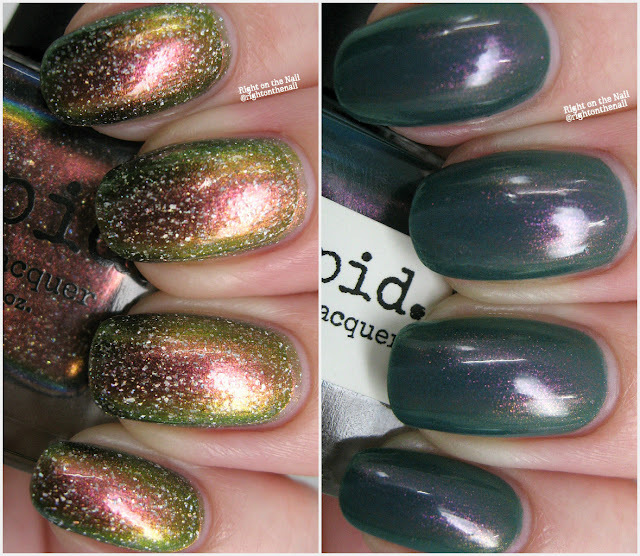 Tonight I'm debuting Pepper Pot Polish's Paradise Found Collection on the blog. The owner, Mackenzie, is from Washington state, and there's been some awesome press surrounding the brand (see here and here). It's a 5-piece collection of creamy shimmers inspired by 1960's ads from Hawaii. It will make more sense in just a moment. This set will release this Friday, February 23rd, at 12 PM PST. 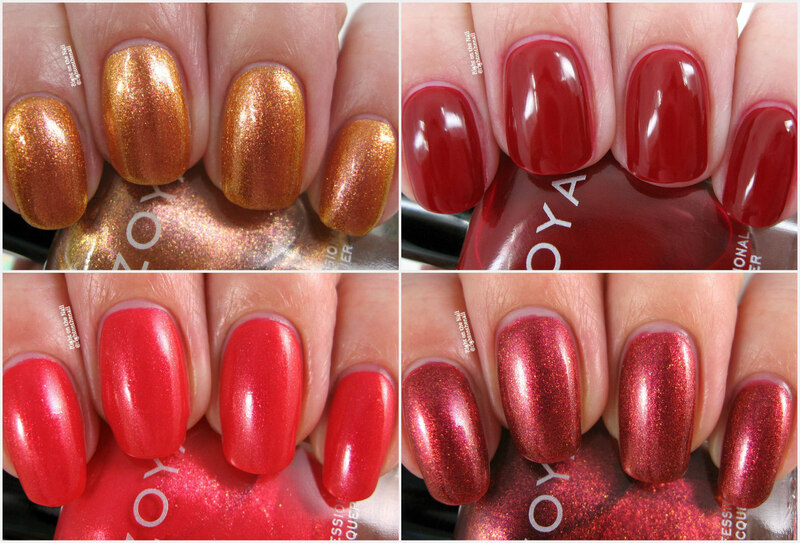 Each polish will retail for $10 each, or $45 for the collection. I mean, you may as well buy all of them because they're beautiful and you can save yourself $5! Shall we get a closer look? Hi guys! I told you I had a lot of polishes to post this week! 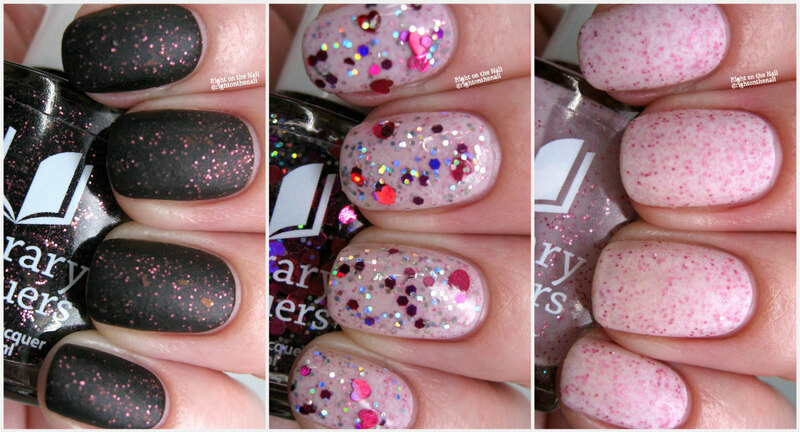 Tonight I have a Valentine's Day trio releasing this Friday, February 2nd at noon MST from Literary Lacquers. The trio was named by someone in the Facebook Fan Group, and the inspiration is The Princess Bride. Ok, confession time: I've never read or seen The Princess Bride. I know, I know. My husband constantly talks about how crazy it is that I refuse to watch it. There are 2 movies that people swear are the best that I've never seen: The Princess Bride and Shawshank Redemption. I figure I've gone this long without seeing it, so I'm sticking with it. 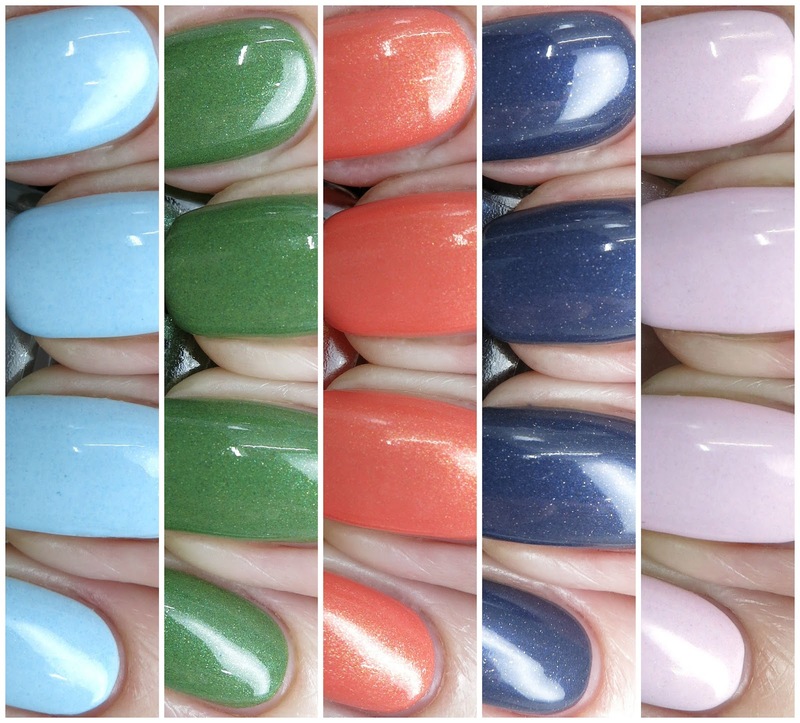 That said, my husband told me that he loved the names and the polishes. I'm not going to lie, I secretly want to see it a little bit now. The trio features 2 matte polishes and a glitter topper. The topper is limited edition for the month of February, while the other 2 are new core colors. Shall we take a closer look?